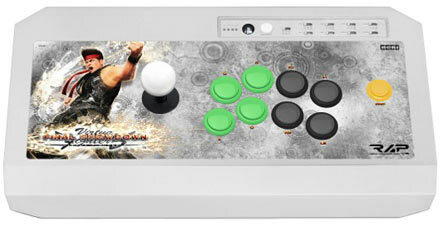 Hori, a leader in arcade stick controllers for home use, have announced a special Virtua Fighter 5: Final Showdown branded fightstick set to be released later this year in all major regions the game itself will be available in. The button layout is similar to SEGA’s own Lindbergh Universal Cabinet, but is designed after the Real Arcade Pro V3 SA. The accessory features options to change which analog stick or digital pad the stick emulates, as well as special turbo functions that allow the user to configure the speed of how rapid the game will register commands. Developed with high quality Sanwa Denshi parts and constructed as a wide product with a solid base for insured stability, this collector’s item has no confirmed price point outside of the Japanese price of ¥ 13,800 (roughly $170 USD). Confusingly, the arcade fightstick is only set to be available on the PlayStation 3 console, ignoring the Xbox 360 version completely. We have contacted Hori and SEGA on this and will update if anything has changed. Virtua Fighter 5: Final Showdown, the latest release in the Virtua Fighter franchise will be available for download sometime this summer on Xbox Live Arcade for the Xbox 360 and PlayStation Store for PlayStation 3. Pricing of the downloadable game has not been discussed as of yet. SEGA has partnered with Japanese guitar company ESP to make a limited edition electric guitar designed after their mascot. It features Sonic the Hedgehog‘s face on the body, and his shoe on the headstock. The art used is from the Dreamcast launch title, Sonic Adventure, which is notable for being the first game in the franchise to feature music from the band Crush 40. Above is a demonstration of the product by their lead guitarist and SEGA music veteran Jun Sunoue. 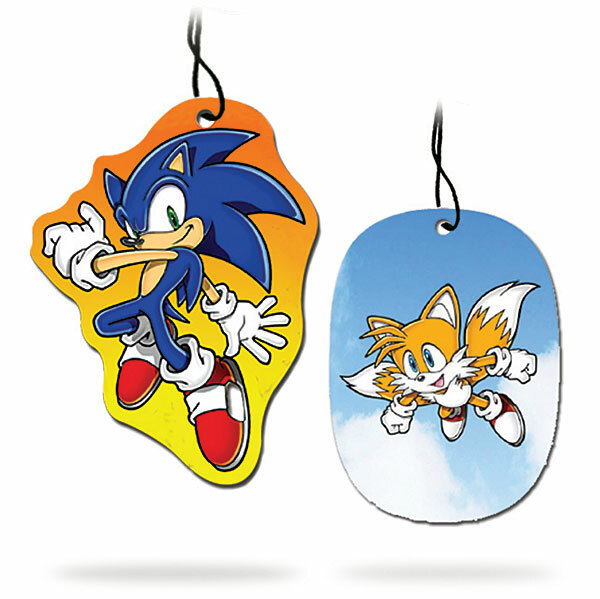 It will be available all this year, which happens to be the 20th anniversary of the first Sonic game. It can be purchased from the ESP site for 136,500 JPY, which roughly translates to 1,782 USD, 1,227 EUR or 1,085 GBP. SEGAbits have reported through Amazon France that two different bundles for Virtua Tennis 4 will be released for PlayStation 3. One with PlayStation Move, a PlayStation Eye, and a tennis racket attachment for Move. The other bundle is all of the above and the PlayStation 3 console itself. No other regions outside France have been announced as of yet. Also, the lead producer of the series, Mie Kumagai announced earlier that the PlayStation 3’s PlayStation Network would also be receiving two exclusive demos later this month featuring the World Tour mode and a demonstration on how the PlayStation Move controls will be implemented, the former of which will be out first. Hit the jump to see the latest trailer for Virtua Tennis 4. 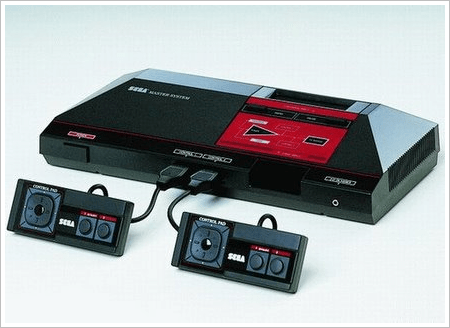 SEGA Legacy articles is a series at The SEGA Source about the vast and varied history of SEGA. They can range from people to places to times to art to even just a simple song. The staff here has a vast knowledge of the company’s history and would love to share it all with anyone willing to listen. Now sit back, get your favorite beverage ready and “Get Hooked In”! Hit the jump to read the third in the SEGA Legacy series.